Brooke's Note: Most recently we wrote about how the CEOs of BlackRock and Microsoft are cooking up a very BlackSoft foray into the annuity business. The whole Fink-Nadella plan may never be heard from again if the devils in the details of selling guaranteed income rise up with their tridents against lofty ambitions. Yet one aspect of the story will stay with us -- namely the abject willingness of two category killers (in very separate categories) to borrow each other's brands, expertise and reach. We'd hardly caught our breath from that article when we saw Fidelity and Amazon share the headline of a press release. This Amazon-Fidelity collaboration is a different kind of alignment but ultimately representative of a similar level of leapfrogging ambition and gleeful brand sharing. What jumps out a little with the Amazon mention is that it reminds us that the ecommerce/cloud megaladon is taking courses at a Phd level on how to get into the advisor business in a way (super-zombie avatars) that could be hard to re-disrupt. Fidelity Investments is quietly enlisting Amazon in a futuristic venture that pools attributes of RIAs, robo-advisors and call-center advisors into a super, virtual-reality advisor, capable of being anywhere, anytime -- as long as there's an Internet connection, that is. Virtual reality, or VR for short, is the latest to the party. Given the $7-trillion AUA Boston financial giant began researching it in 2014, it's hard not to see Johnson's fingerprints all over it. Amazon's Alexa experience provides a missing link in high-tech ventriloquy, according to Adam Schouela, vice president of product management at Fidelity’s Center for Applied Technology, the firm's research arm, via email. 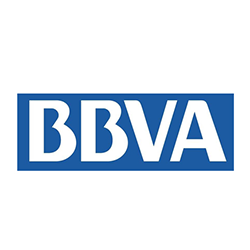 "It allowed us, for the first time, to integrate voice with virtual reality ... [This] opens up new possibilities for how customers may interact with their finances in the future." Though Fidelity incubated VR for five years in its laboratory, it delivered little more than a gee-whiz factor to T3 conferences along the lines of artificial intelligence, blockchain, pizza-delivering drones and self-driving cars. But VR is not going to stay in that Jetson category much longer, says Jacqueline Ko Matthews, CEO of Potomac Falls, Va.-based startup InvestmentPOD. InvestmentPOD is an RIA automation firm and robo-advisor, which is investing in developing VR technology specifically for RIAs. Matthews is even working with her 15 year-old son, a high school VR prodigy who has conferred with Bill Gates and other aristocrats of high technology. Jacqueline Ko Matthews, who previously managed ultra-high-net-worth (UHNW) family offices, is now developing one of the most promising WealthTech platforms that will democratize UHNW asset and strategy diversification. What made her take such a U-turn? Let’s discuss. Every single person who has ever been involved in high-net-worth portfolio management knows that it’s ultimately an expensive, labor-intensive, tedious process. Only the ultra wealthy can afford to have a team of staff able to cope with the task. The same problems plague advisors in the less expensive market classes, as advisors’ fees continue to be compressed. What could help them is growing in scale; however, it’s almost impossible taking into account what customization level it requires. However, most robo advisors just do simple, passive buy and hold and try to disrupt human wealth managers. There’s merit in this when building a B2C platform, but not really when building a B2B platform meant to empower human advisors. The problem with B2C is the extremely high costs of client acquisition (estimated to be up to nearly $1,000 from various sources, including Morningstar) while robo consumers tend to have an average account size of only $30,000 earning just 15-25bps. As a result, profits are marginal to negative and the business model is really difficult to monetize. Platforms understand this and try to mix both B2C and B2B models to capture as many clients as possible. Thus, a myriad of commoditized solutions enter the market. Scalable, cost-effective, and customizable at the same time — is it really possible to combine these aspects in a wealth-management platform? Jacqueline realized that the goal isn’t to disrupt the advisor’s way of doing business, but rather to fit into their ecosystem and provide value added. Meanwhile, investors are getting smarter; they’re increasingly willing to understand what’s going on with their investments and take an active part in the process. There’s going to be a big move to personalization, which means that platforms should allow advisors to customize down to each individual client account. Also, Jacqueline believes that platforms should differentiate themselves by adding more diversification powers. Regarding her own product, Investment POD, which stands for Passive, Opportunistic, Defensive, she has implemented core strategies to choose from and combine with the in-house strategies of an advisor. These cover three major investment styles: passive buy and hold, opportunistic tactical asset allocation, and defense risk management. This allows advisors to have more choices in diversifying their clients’ portfolios across both asset and strategy diversification to create the portfolio that weathers the market storms. The model has turned out to be beneficial for to the advisor — it allows advisors to increase their productivity workflow from a maximum of 75 households per human advisor to 300 while providing differentiation through dynamic indexing and highly scalable personalization. Good ideas are always rewarded. In 2018, Investment POD became a Season 1 Winner at the ScratchWorks FinTech accelerator at the Barron’s Top Independent Advisors Summit and 2018 Winner of Wealth Management.com’s Digital Robo Advisor of the Year. The platform was duly appreciated by the judges and investors and given a huge marketing boost. But the most important factor is that numerous customers around the world can now see and utilize the true value of the highly customizable portfolio-allocation approach. The Bottom Line? Investment advice automation can help to scale services at a reasonable cost. However, passive investment automation alone isn’t enough to enter the B2B space. Platforms should deliver value in the form of customization and innovation; in that case, the success is assured. Has the TAMP outlived its usefulness? In a rapidly changing industry, advisors today need to re-think their traditional approaches to providing investment management services. Technology advancements have recently taken many of the costs out of the investment management process for investors and advisors alike. So much so, that the industry is seeing new, better and lower cost models become the go to solution vs. traditional options. For years, advisors have defaulted to a turnkey asset management platform (TAMP) to provide a convenient solution for gaining access to hundreds of money managers and investment strategies to provide clients with well-diversified portfolios. However, with this convenience have come high costs that are dampening investor returns as well as advisor incomes. The good news for the industry is that these high costs have spurred much innovation to find more efficient and lower cost options to better streamline the investment management process. New product innovation, such as the ETF, has generated powerful benefits that are making these highly flexible and low cost products superior to the mutual fund and managed account structure. Combined with sophisticated algorithms, virtually any strategy can be replicated and implemented at a much lower cost. Add in automation for trading and rebalancing along with a digital client onboarding capability, and advisors now have access to a complete, technology-enabled end-to-end platform, freeing up their back office and investment management functions to pursue more highly valued services. Additionally, as investment management is rapidly becoming commoditized by online robo advisors, advisors reliance on passive, buy and hold strategies is no longer differentiating themselves, putting pressure on maintaining their 1% fees. Advisors need to up their game to provide more sophisticated investment services in order to remain relevant in a more competitive and challenging environment. Our research has shown that, on an average, using a technology platform instead of an expensive TAMP can save client’s 40 basis points in all-in costs, including platform fee, money manager fee, trading and rebalancing. When applied across the entire client base, these costs can be in the hundreds of thousands of dollars per year. These savings can then be passed along to the client, absorbed by the advisor to enhance profitability, as well as provide pricing flexibility to reduce fees to remain competitive. The new path forward for advisors is to begin to start leveraging technology innovation in the form of investment management automation platforms that can be white labeled to the advisors branding while providing a more robust offering through multi-strategies for both asset and strategy diversification. 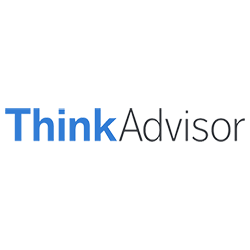 This more sophisticated investment offering provides advisors with a powerful and differentiating marketing message vs. the buy and hold advisor who is rapidly becoming commoditized by low-cost, or even free, robo advisors. Advisors owe it to their clients, their firms and themselves to examine the true costs that they and their clients are paying to provide investment management services. The antiquated TAMP structure has served a great purpose in consolidating into one platform an opportunity for advisors to leverage their time and resources. However, in this technology enabled age, the TAMP has become a bloated and expensive proposition, rapidly being replaced by new investment automation technology platforms. As we head into 2019, leading advisors are investing time and resources to determine how they can streamline investment management in order to identify the costs they are paying and find better solutions. East Coast vs. West Coast: Who has the digital edge? SAN FRANCISCO — West Coast startups threaten Wall Street behemoths with the potential for disruption, but the new wealth management normal might include a healthy dose of firms from both coasts. What’s at play is a side effect of the fintech innovation race; a cultural swap between the Valley and Wall Street which may be altering how both regions operate. For example, JPMorgan recently poached a former Google artificial intelligence executive, while Morgan Stanley recruited a top executive from the industry's leading startup robo advisor Betterment. Silicon Valley denizens are realizing that to be disruptive they have to collaborate, Matthews says at a panel at SourceMedia’s In|Vest West conference. Funding rounds and partnerships between startups and larger financial institutions have flourished. Notably, the wealth management tech provider d1g1t announced a $6.8 million raise to fund the growth of its latest wealth management offering. While the mentalities of two coasts may never fully integrate, they may be come close, she says. The East will likely always have rules and regulations that restrict its ability to innovate, she says. Traditional investing is based on the time-honored tradition of valuing future earnings, a process that is highly dependent upon the assumptions that were used to make the allocations. To enhance returns, award-winning Investment POD has innovated an automated way to build a portfolio to enable wealth growth independent of market conditions, an approach that is transforming the industry. POD stands for Passive, Opportunistic, Defensive, which are the three different strategy types provided by the platform. Combining these strategies allows advisors to build a comprehensive portfolio that will have lower downside risk. The concept of Investment POD belongs to Jacqueline Ko Matthews, founder and CEO of the company, and also to Dr. Peter Matthews, CIO. I had a call with Jacqueline to outline the history, the current state and offerings of the platform, and the trends that influence the industry today. Jacqueline started her career on Wall Street working for Goldman Sachs as an investment banker. She was one of nine members of the pioneering team working under CEO Robert Rubin, who became US Treasury Secretary, spearheading the Asia Pacific investment banking business—Taiwan, China, etc. After that, she worked for several ultra-high-net-worth family offices, including that of US Senator Mark Warner. During this experience, she gathered the insights that now form the foundations of the Investment POD concept. Peter is best known for starting a company called MINT, one of the largest managed futures hedge funds in the world. It’s based on Peter’s trading algorithm and performed 20% a year for 20 years straight without any losing years in the first 13 years. He created the mathematics behind the First Guaranteed Fund, which attempted to take the volatility out of futures, and won the Donchian Lifetime Achievement Award for bringing managed futures into the mainstream acceptable asset class by pensions and endowments. They started Investment POD because everybody wants to create a portfolio that stands the test of time. They did a lot of research and built R&D to aggregate what Jacqueline used to do while managing the money of ultra-high-net-worth family offices and what Peter used to do at MINT. Read the full review by clicking the link below. The digital transformation of the wealth management industry is happening quickly. The industry’s largest players are swiftly adapting to meet ever-increasing customer expectations, and the rest of the field striving to keep pace. Behind the scenes, many firms are increasing technology investments and increasing headcount in an effort to drive growth, but margins remain under pressure. In|Vest West will explore all the dynamics at play—from front to back office—and the technologies that are shaping the future of the firm. In|Vest West 2018 will offer specific focus on the firms that are bringing investing to the masses and those that are involved in the growing wave of consolidation. Track topics will include: The Democratization of Wealth Management; The Evolution of RIAs; Transformation of Asset Management; Driving Growth; Innovation & Partnerships. As always, a limited number of firms will be selected to offer live demos. The race for fintech innovation has spurred a cultural swap between the Valley and Wall Street too. Investments and talent exchanges are at the forefront – JPMorgan, just hired another top Google exec, while Google and other tech giants are poaching talent from big banks. How do the vastly different cultures impact one another? And how does one navigate going from one side to the other? InvestmentPOD for Advisors, the industry’s first digital advice platform to offer multi-strategies, announced today that its new “Ulcer Prevention Portfolio” (UPP) was named the winner in the prestigious wealthmanagement.com Industry Awards Program in the category of Digital (Robo) Advisors. In addition to winning as best digital (robo) advisor in the wealthmanagement.com Industry Awards, InvestmentPOD also recently won the inaugural ScratchWorks competition, a new FinTech Accelerator that connects innovative tech companies with investment and wealth management luminaries to advance the digital transformation of the financial services industry. Earlier this year, ScratchWorks held its inaugural live event at the Barron’s Top Independent Advisors conference as a potential investment opportunity to the five luminary founders of ScratchWorks: Mariner Wealth Advisors, RMB Capital, Covenant, Brighton Jones, and The Colony Group. Collectively, these five leading RIAs manage over $60 billion in AUM for high net worth clients. The ScratchWorks’ investors were impressed with the opportunity to partner with InvestmentPOD and have since worked out a strategic investment to help fuel the growth of InvestmentPOD. To learn more about InvestmentPOD and the new UPP offering, please log onto http://www.InvestmentPOD.com. ScratchWorks, a leading FinTech accelerator, announced today the launch of "Season 2" of its annual program to connect innovative tech companies with investment and wealth management luminaries to advance the digital transformation of the financial services industry. In these times of record highs in the markets and an aging bull market, volatility is returning with a vengeance. So much so that clients and their advisors are seriously con­sidering re-thinking their portfolio strategies to prepare for potential drawdowns so they can continue to sleep at night. Particularly for clients approaching retirement or recently retired, the prospect of large declines in the market may impact their ability to live the retirement lifestyle that they have worked so hard to achieve. At the same time, people are living longer and longer lifespans, putting added risk that their retirement funds may run out simply because they outlived their projected plans and sacrificed growth opportu­nities from a more conservative portfolio. So what can advisors do? How can they lower the risk profile of their clients' portfolios, while also not giving up needed growth to hedge for longer life spans? Historically, the answer was in expensive and complex principal protected investment products or annuities. But we've seen that movie before. Just when those products were put to the test in bear markets, their structures failed and actually suffered losses, just when they were supposed to provide protection from that very same thing. The good news today is thanks to technology innova­tion and new, low-cost ETF approaches, there are now more options and methodologies to replicate the benefits of principal protected investments, while avoiding their underlying problems. With the goal to lower investor's "ulcer-causing" fear and worry, the broad proliferation of the types and styles of ETFs can be leveraged to mimic various hedge fund strate­gies to enable advisors to manage the downside, while still providing growth opportunities. 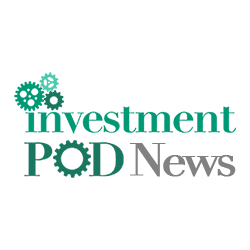 Just another example of how the industry continues to innovate on behalf of advi­sors and their clients. When combined with a sophisticated, automated investing platform, technology creates the structure to trade and rebalance the portfolio automatically to achieve these goals, saving advisors the time, effort and resources to do so on their own. As a result, all of the problems associated with structured products and annuities are minimized, such as high costs and illiquidity. Warren Buffett once said this about investment manage­ment: Rule #1 is Don't Lose Money. Rule #2 is don't forget rule #1! Yet he has had substantial losses in his portfolio at times, so what did he mean by this? Buffet takes a very long-term view in which he is willing to suffer interim losses because he is so sure that the compa­nies he buys will be worth more sometime in the future. In the real world most investors don't have the luxury of taking Buffett's very long-term view on losses, so that leaves them with fewer options. Once again, leave it to technology and investment innovation to find a solution to prevent these ulcer-causing scenarios. Marty Bicknell's ScratchWorks, a 'Shark Tank' for RIA software firms, is backing a five-person, Potomac Falls, Va., startup, a finalist in its competition to find the next great fintech idea, but the prize is more tough love than easy money. InvestmentPOD LLC was one of the final three, chosen from 50 applicants who pitched ideas earlier this year in hopes of landing venture capital investments and big-time RIA guinea pigs. Its CEO, Jacqueline Ko Matthews, must now move on to more lightning rounds behind closed doors before bring home the bacon. See: Five RIA principals with $60 billion of combined AUM form ScratchWorks as 'publicity stunt' and serious effort to fund fintech startups. InvestmentPOD is arguably the most ambitious robo-advisory B2B play yet. It asserts that it can automate a big RIA's entire investment management portfolio, its onboarding, rebalancing, and risk management, yet still allow advisors the option of choosing between putting their own imprint on the investing process or using model strategies with a very unrobo buy-and-sell approach for ETFs, mutual funds, individual stocks, and fixed income. It had better if it wants to more than scratch the surface with the RIA big shots who are honoring its promising start. Alongside Bicknell, InvestmentPOD's investors include fellow ScratchWorks partners Jon Jones, CEO of $5 billion AUM Seattle, WA. 's Brighton Jones Wealth Management LLC, Eadie, founder of $1.5 billion AUM Covenant Multi-Family Offices LLC, St. Louis, Missouri-based VC groups Prosper Women Entrepreneurs and SixThirty Inc., and Kansas City's UMB Financial Corporation Inc. Only Prosper's $50,000 investment has been disclosed. The two ScratchWorks judges who chose not to invest in InvestmentPOD are Richard Burridge Jr., CEO of Chicago's $8.4 billion AUM RMB Capital LLC, and Michael Nathanson, CEO of the Boston, Mass.-based $5.2 billion AUM Colony Group LLC. The contest was a prelude to the three sharks investing in and -- if all goes well -- applying the startup's software to their RIA accounts. Bicknell and others will use their personal accounts as guinea pigs first, as part of a trial run. “A handful of us will onboard ourselves so we can see the real life experience and we haven't done that yet ... [but] there is no part of me that believes InvestmentPOD is ready for total adoption by a firm of our size,” says Bicknell, CEO of Mariner Wealth Advisors LLC, the Overland Park, KS.-based RIA with $25 billion in assets under management. Launched in Oct. 2017, ScratchWorks has no outright winner. The finalists showcase themselves, then five judges and the audience bid for a slice of the VC action. This year, InvestmentPOD's Matthews faced John Michel's NYC-based all-in-one advisor portal CircleBlack Inc., and Ormond Beach, Fla.-based Snappy Kraken LLC, which personalizes, automates and tracks marketing campaigns. Effectively, Matthews has won a combination of funding, advice, and the opportunity to bid to be the in-house robo-of-choice at Bicknell, Jones, and Eadie's RIAs, which have a combined AUM of about $32 billion. The bid, however, is contingent on meeting the shark's challenges, step by step. Although ScratchWorks is planned as once-a-year event, the possibility of a bi-annual format is presently under consideration. Any move to bring InvestmentPOD to the higher end of the market at a firm like Mariner is in its earliest stages, he adds. "[With] 23 locations, 200 advisors, and $25 billion in assets, we've got a lot of work to do before we know if we're ready to roll it out. We're going to do a very managed approach to figuring this out,” he says. If Mariner can help design something that takes a benchmark 75 clients-per-advisor to 100 or 120, "that's a big impact,” he adds. For a platform that can deliver tailored service to select clients, even RIAs are willing to invest in digital advice. With its focus on the high-net-worth client through multistrategy management, InvestmentPOD set out to distinguish its white labeled platform for advisors from automated passive, buy-and-hold offerings. Jacqueline Ko Matthews, CEO and co-founder of InvestmentPOD, now has the backing of three prominent advisory firms attached to ScratchWorks, an advisor tech accelerator: Mariner Wealth Advisors, Covenant, and Brighton Jones. Terms of the funding agreement were not disclosed. The platform’s ability to customize strategies at a single client level was very attractive to Mariner, says Marty Bicknell, the advisory firm’s chief executive. Bicknell, an investor in several fintech and advisor tech platforms including data aggregator Quovo, says he welcomed the opportunity to help fine-tune InvestmentPOD. “Having the ability to have our fingerprint on what that looks like, providing access to real life advisors and client experience is really what interests me,” he says. Bicknell says another motivation to invest is that for all the attention paid to digital advice, “it really hasn’t moved very much,” for advisors. The market remains fragmented, he says, since most platforms face an uphill battle to secure RIA firms' buy-in. Another motivation to invest, he adds, reflects a wider industry imperative to improve operational efficiency. "We are digitizing the multistrategy approach," says Jacqueline Ko Matthews, CEO and founder of InvestmentPOD. With a focus on advisors and on serving more wealthy clients, Bicknell expects the platform to fare better than many retail investor-focused robo advisors, a market unsettled by the recent shuttering of Hedgeable's robo advice offering. Matthews says that with the new funding and additional advisor exposure, InvestmentPOD will work toward a broader growth strategy. She hopes to appeal to advisors currently on custodian-supported platforms. She adds her platform is already working with multiple model marketplaces and technology platforms to integrate their strategies as options for advisors to choose from. “We are truly open architecture,” she says. Three big RIA firms have thrown their backing behind a new, multi-strategy robo-advisor known as Investment POD. Investment POD was one of three finalists in a startup competition sponsored by ScratchWorks, a fintech accelerator. 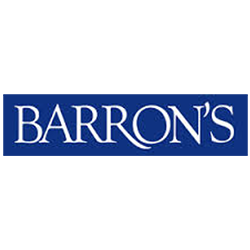 The finalists made their pitches to a high-profile group of ScratchWorks-affiliated advisors at Barron’s Top Investment Advisors Summit in March. Advisors on that Shark Tank-style panel included Marty Bicknell of Mariner Wealth Advisors, John Eadie of Covenant and Jon Jones of Brighton Jones. 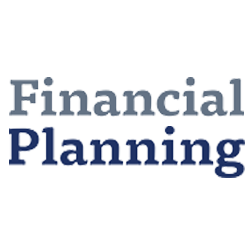 Those three firms are now investors in Investment POD, Financial Planning notes. Investment POD, which was pitched by Jacqueline Ko Matthews, its CEO and founder, is a white-label solution marketed to advisors to use with their high-net-worth end clients. 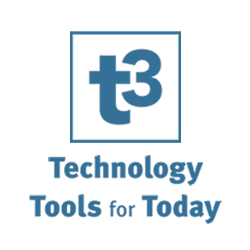 Investment POD distinguishes itself as an alternative to the typical buy-and-hold, passive-investment robo advisor. “We’ve created a customized digital platform that allows advisors to build portfolios that are diversified across both assets and strategies,” the firm says on its site. 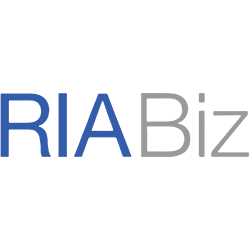 InvestmentPOD for Advisors, the industry’s first digital advice platform to offer multi-strategies, announced today that the company has received a strategic investment from the ScratchWorks Fintech Accelerator. Investment POD is the first multi-strategy, automated investing platform offering advisors white-labeled robo automation with high net worth sophisticated asset and strategy diversification. Advisors are able to automate their trading and rebalancing process and deliver multiple solutions, above just buy and hold, which has been the typical offering of the current crop of robo advisors. InvestmentPOD combines the sophisticated HNW investor requirements for asset and strategy diversification with robo automation, making InvestmentPOD truly unique in the wealth management industry, garnering multiple award recognition through the highly prestigious wealthmanagement.com Industry Awards program as a finalist in the disruptor and robo advisor categories over multiple years. 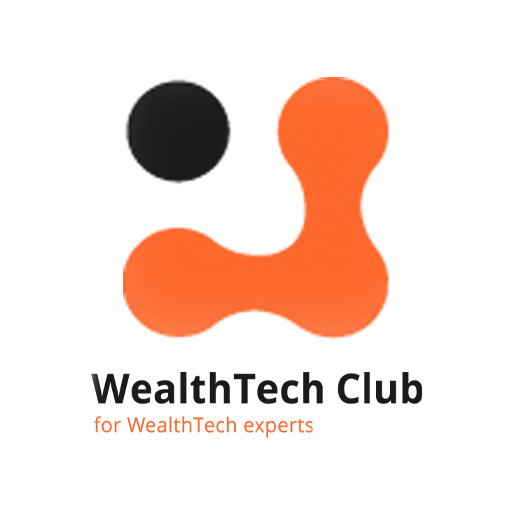 ScratchWorks is a new FinTech Accelerator that connects innovative tech companies with investment and wealth management luminaries to advance the digital transformation of the financial services industry. Earlier this year, ScratchWorks held its inaugural live event at the Barron’s Top Independent Advisors Conference featuring three top FinTech companies, pitching their business models and platforms as potential investment opportunities to the five luminary founders of ScratchWorks: Mariner Wealth Advisors, RMB Capital, Covenant, Brighton Jones, and The Colony Group. Collectively, these five leading RIAs manage over $60 billion in AUM for high net worth clients. 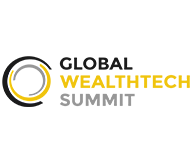 The ScratchWorks’ investors were impressed with the opportunity to partner with InvestmentPOD and have since worked out a strategic investment to help fuel the growth of InvestmentPOD. Season 2 of ScatchWorks will kick off this Fall with a call for nominations from the FinTech community of early stage companies to showcase their platform in hopes of being selected to pitch their company for investment at the finals of ScratchWorks in March 2019. To learn more about InvestmentPOD, please log onto http://www.InvestmentPOD.com. To learn more about the ScratchWorks FinTech Accelerator, log onto http://www.Scratch.Works. In yet another sign that technology is having a big impact on the wealth management industry, five leading RIA firms are banding together to create a “fintech” accelerator. Called ScratchWorks, this new platform is designed to identify and fund promising fintech startup companies and held its inaugural debut in a live session at the recently held Barron’s Top Independent Advisor conference. In a format similar to the popular television show, “Shark Tank” three fintech companies presented their pitch live on stage to the five investors of the ScratchWorks collective in front of a capacity crowd of over 500 of the industry’s largest independent advisory firms. 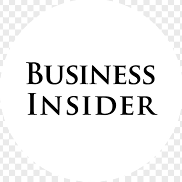 These five investors from leading RIA firms including, Marty Bicknell of Mariner Wealth Advisors, Jon Jones from Brighton Jones, Richard Burridge of RMB Capital, John Eadie of Covenant and Michael Nathanson of The Colony Group, collectively manage over $60 billion in assets. Sponsored by Fidelity, eMoney and the University of Colorado’s Leeds School of Business, ScratchWorks attracted over 50 fintech firms to submit an application to pitch to these five investors for potential venture capital investments, strategic partnerships and distribution agreements. After a rigorous review process with leading academics from the University of Colorado’s Leeds School of Business, 10 semi-finalists from the initial 50 submitting firms and ideas were identified for further consideration which led to the choice of 3 finalists selected to pitch live to the five ScratchWorks investors. Those inaugural ScratchWorks finalist firms are InvestmentPOD, Circle Black and Snappy Kraken. First up on stage was InvestmentPOD. CEO Jacqueline Ko Matthews who pitched her technology platform as a multi-strategy white-label robo advisor for advisors. “Everybody wants to build a portfolio that stands the test of time,” she said noting that every 10 years or so there has been a major market downturn that can significantly impact client portfolios, such as what occurred in 2008-2009 during the Financial Crisis. Matthews’ idea is to leverage technology to create a platform that combines a multi-strategy portfolio management approach with both asset and strategy diversification that lowers costs that are typically paid to expensive outside money manager specialists. Through her automation, algorithms and technology, she is able to simplify the process and make it more accessible so that advisors can make these sophisticated investment strategies cost-effective for all of their clients, not just their high net worth clients. The ScratchWorks investors were impressed with InvestmentPOD and saw a lot of promise in the platform. As a result, they made a significant, “exploratory” investment offer, which Matthews accepted. Initiatives such as ScratchWorks will be a harbinger for the future of advisor technology as advisors themselves jump into the VC game to invest in their collective futures. To learn more about what went on at ScratchWorks, check out the many tweets on the #BarronsTIAS on Twitter. CEO Jacqueline Ko Matthews pitched her technology platform as a multi-strategy, white-label robo-advisor for advisors. “Everybody wants to build a portfolio that stands the test of time,” she said, noting that every 10 years or so there has been a major market downturn that can significantly impact client portfolios, such as what occurred during the financial crisis of 2007-2008. Executives from technology vendors and wealth management firms discuss the future of the industry. Technology is forcing change on all aspects of life, and the financial services industry is no exception. 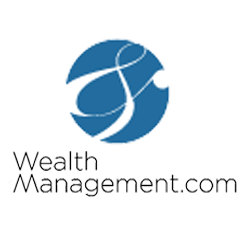 WealthManagement.com assembled some of the top executives from major technology vendors, custodians and registered investment advisors to discuss these issues and more at the the 2017 Wealth Management.com Executive Forum. InvestmentPOD is one of only six companies named a finalist by wealthmanagement.com in the category for Disruptive Technology! Now in its 3rd year, the 2017 Executive Forum and Industry Awards recognize the companies and organizations that support financial advisor success. It has as been expanded to include an afternoon program filled with keynote speakers, CEO panel discussions and breakout sessions covering prevalent issues around technology, asset management, broker/dealers and marketing — followed by our evening industry awards gala. Over 350 professionals attended the galas in 2016. By recognizing outstanding achievement in the industry, the WealthManagement.com Industry awards will continue to inspire innovation and leadership among industry participants., creating an environment that will enable the industry to better support advisors in their roles as leaders to their clients and communities. What does your firm do/offer within the fintech sector?InvestmentPOD is the industry’s first digital advice platform to offer multi-strategies, by providing a revolutionary approach for professional financial advisors to offer their clients sophisticated, customizable portfolios, along with enhanced trading and rebalancing capabilities. Unlike traditional “robo” investing platforms that only provide passive options, InvestmentPOD’s sophisticated investing algorithms provide multi-strategy and asset diversification, all while lowering trading costs. Previously, this type of sophisticated approach was only available through a portfolio of hedge funds; however, hedge funds have shown to be an expensive and inefficient way to achieve these investing goals. Now, through the vast liquidity and global availability of ETFs, combined with InvestmentPOD’s advanced and sophisticated algorithms, advisors can enjoy the benefits of diversification, automation and lowered costs to take their firms to the next level. One of the common knocks on the automated investing services is that they can only offer a simplistic buy-and-hold strategy that can’t produce alpha or defend against a market downturn the way a traditional advisor can. “The universal problem is everyone is trying to create a portfolio that stands the test of time and weathers the storm through all sorts of cycles,” Matthews told WealthManagement.com. So to create something that can work for investors big and small, Matthews launched a new robo advisor that combines passive, opportunistic and defensive – POD for short – strategies. Up against robo advice platforms, advisers need to tap into tools from the investment banking world, says one ex-Goldman Sachs executive. Launching her own white labeled platform for RIAs, Jacqueline Ko Matthews says that multi-strategy management allows advisers to distinguish themselves from automated passive, buy-and-hold offerings. "We are digitizing the multistrategy approach," says Ko, CEO and founder of the newly launched InvestmentPOD. "We're taking what I used to do for UHNW clients. Wealthy people have always known you have to diversify across strategies." The platform will offer 10 different strategies for advisers, with the option to create custom strategies, Ko says. The platform is ideal for advisers with $100 million in AUM, she says, though they can work with quick-growing practices too. InvestmentPOD, a Washington, D.C.,-based robo advice provider for advisers, has launched a white-labeled version of its multi-strategy product that RIAs can offer to clients as their own. InvestmentPOD for Advisors, as the service is known, is a multi-strategy and multi-asset-class approach to algorithmic advice, the company said in a release. Unlike other robo platforms that provide passive, long-only approaches, InvestmentPOD's algorithms are designed to deliver alternative, hedge-fund-like strategies through low-cost exchange-traded funds, the company said. "Passive, buy-and-hold strategies have resulted in significant losses over market cycles," said Jacqueline Ko Matthews, CEO and co-founder of InvestmentPOD. "Research shows that combining opportunistic and defensive strategies to complement a passive portfolio generates equal or higher returns with less risk." 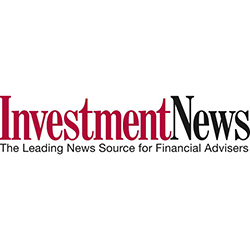 InvestmentPOD for Advisors, the industry’s first digital advice platform to offer multi-strategies, announced today the official launch of its white-labeled automated investing platform for independent Registered Investment Advisors (RIAs). InvestmentPOD provides a revolutionary approach for advisors to offer their clients sophisticated investing strategies, customizable portfolios, and enhanced trading and rebalancing capabilities. Unlike traditional “robo” investing platforms that only provide passive options, InvestmentPOD’s sophisticated investing algorithms provide multi-strategy and asset diversification, all while lowering trading costs. “History has proven that passive, buy and hold investing strategies have resulted in significant losses over market cycles,” said Jacqueline Ko Matthews, a former Goldman Sachs investment banker, wealth manager and now the CEO and co-founder of InvestmentPOD. 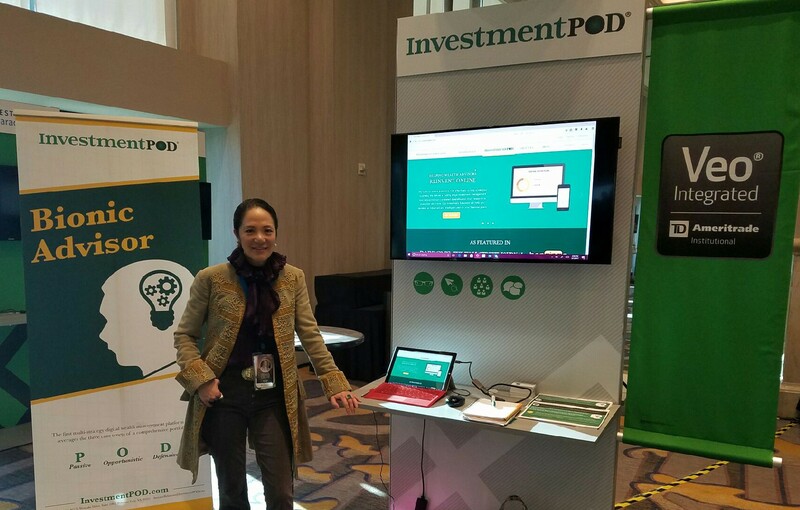 InvestmentPOD is one of only twelve companies invited to exhibit & demo at TechCrunch’s legendary MeetUp & Pitch-Off – which came to D.C. on Tuesday, February 21, 2017. 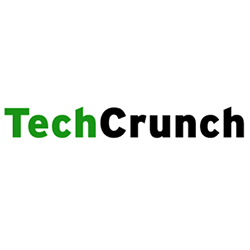 TechCrunch’s legendary meetup + pitch-off event is coming to D.C.! ​So join us for good conversation and a battle to the death as these select entrepreneurs try to dazzle and excite the judges in under sixty seconds. ​And whether you’re an investor, entrepreneur, dreamer or tech enthusiast, we want to see you at the event so we can hear your thoughts. ​Come one, come all. It’s sure to be a night to remember. As the largest gathering of the advisor technology community outside Joel Bruckenstein’s T3 conferences, TD Ameritrade’s “Veo Village” featured the latest and greatest in advisor tech in 2017. Held in early February at the TDA LINC conference in San Diego, Veo Village features the best of the 115 technology vendors who have integrated their systems and software with TDAI’s innovative Veo advisor workstation.